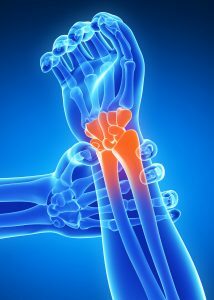 RSI is an inflammatory reaction to stress on a joint or limb, where key nerves have rubbed against bone and other structures in the joint. Examples of RSI range from tendonitis of the hand to carpal tunnel syndrome in the wrist to cubital tunnel syndrome in the elbow. Symptoms can arise long after you finished pipetting and can also last a long time. These symptoms also are not limited to your wrist or hand—most injuries reported extend into the back and shoulders. Two main physical issues contribute to RSI: force and repetitiveness. Force in pipetting comes from dispensing the contents, ejecting the pipette tip, and keeping a tight grip on a poorly designed pipette. And pipetting is usually very repetitive, as any laboratory worker knows too well. A single person might go through pipetting motions thousands of times in one day. If you’re pipetting for more than four hours a day (and many lab scientists do), you’re at risk for RSI. Avoid keeping your arms extended or elevated for prolong periods of time. Raise your chair instead of reaching out to pipette. When pipetting, keep your elbow angle at a 90 degree angle with your hands straight out. This minimizes the exertion needed to do your work and can prevent strain on your nerves, muscles and tendons. Your posture will also help prevent RSI. Sit or stand up straight, with shoulders slightly back and lined up with your ears. If sitting, your back should be against the backrest of your chair. If standing, shift your pelvis forward so it is aligned over your ankles. Take a break! Take breaks often, in fact. The Occupational Health and Safety Administration (OSHA) recommends taking a two minute break every 20 minutes. Be sure to stretch your hands, arms, and shoulders frequently. While there’s not much you can do about the repetitive part of pipetting, there are specific products designed to reduce the force of pipetting. Force comes into play when you’re attaching the tip to the pipette, aspirating and dispensing liquid contents, and ejecting the tip. Tip mounting requires the most force and, therefore, is most likely to contribute to injury. You should not have to twist your wrist or pound the tip into the end of pipette to get a good fit—all these motions can eventually lead to repetitive strain. A tip with a flexible proximal end will reduce these motions and the mounting force. The flexible end forms a secure seal with the pipette barrel, so there no banging or rocking necessary. But just as important are the tips themselves. Tips that are a good fit for your pipette will attach and detach smoothly from your pipette with minimal force, minimizing any RSI risk, not to mention giving you more accurate results. Keep in mind that any continued pain or discomfort should be evaluated by a medical professional. In some cases, physical therapy or other medical intervention may be necessary. RSI has many causes, and there are many ways to treat it. But reducing the risks of pipetting with the right posture and equipment can go a long way to preventing pain. FlexFit technology provides a superior fit and secure seal for precise and accurate pipetting. This patented feature provides flexibility on the proximal end of tips, dramatically minimizing the necessary insertion and ejection forces between pipettor and pipette tips, thus improving ergonomics. Watch as we demonstrate the flexible difference between Biotix tips and our competitor. Achieving a secure seal between pipettor and tip is crucial for accurate pipetting. However, many pipette tips require significant force, even banging, beating and wiggling to achieve this seal. Biotix tips with FlexFit technology eliminate the need for aggression. The flexible proximal end creates a secure seal on any universal pipette.